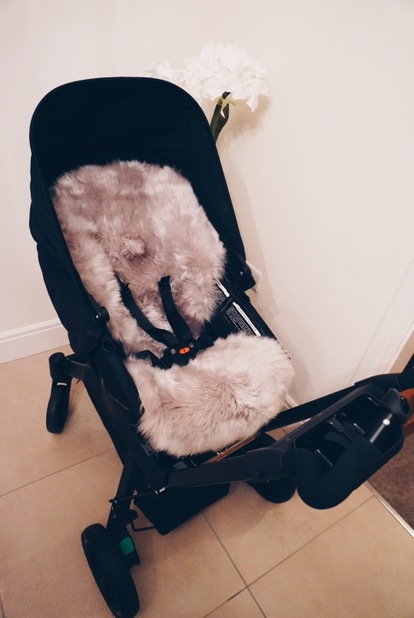 I decided I wanted to update Sebastiens pushchairs for the winter, and came across the most gorgeous fur lamb skin liners. 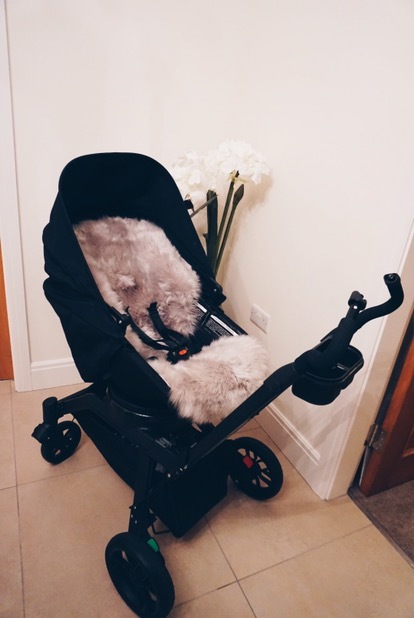 They come customised to fit any pram, and in lots of gorgeous colours too. You can also get them for car seats and Moses baskets. Merino is well-known for its very soft, silky properties which offer your babies so many benefits. 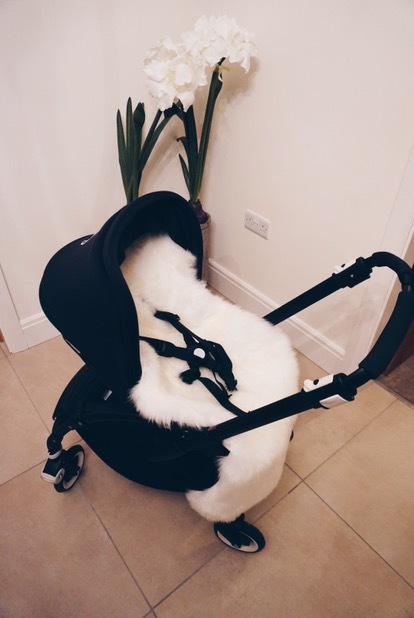 They can be used from birth, even with low weight babies, as the dense wool pile provides a comforting cushion effect helping to prevent pressure points. Young infants find it difficult to regulate their body temperature and lambskins help to do just that, keeping little ones warm in the cold and cool in the heat. We confidently recommend their use all year round. Being naturally antibacterial, repelling dirt means that they require minimal wshing. 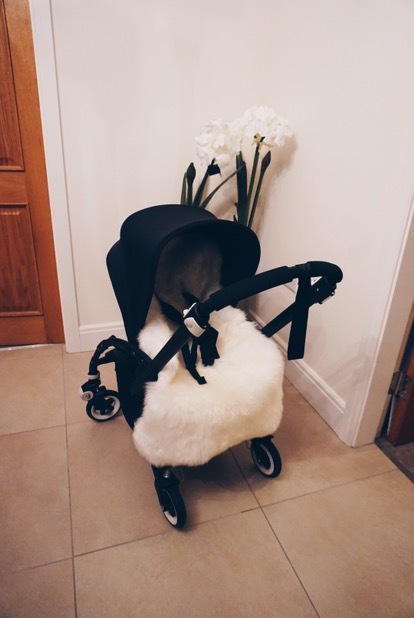 I chose a grey one for the Orbit baby pram, and ivory for the Bugaboo Bee. 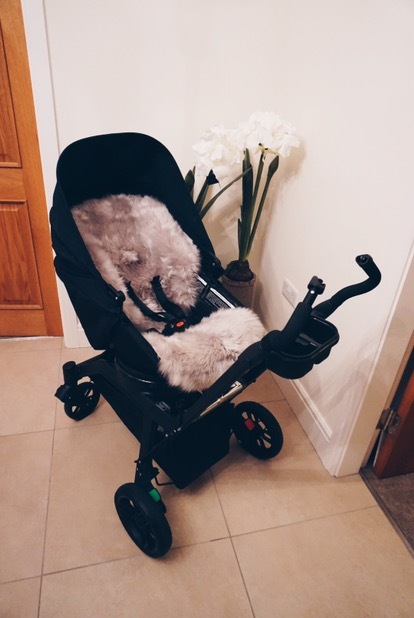 The Bugaboo was initially our travel pram, but I love it so much, and find it so easy to use, we pretty much always use that one now. It did have a blue hood (for summer) but I changed to black for the winter! They are so gorgeous and cosy, I would love to be all snuggled up in one my size. You can click here to buy them online! ← Christmas Gift Guide: For The Mrs.